Games are an interesting field in computer science concerning the question whether a computer can learn the game strategies just from self-play, without explicitly programming the tactics or performing exhaustive search. This is a branch of artificial intelligence (AI). Recently (January'2018), we have released GBG, the General Board Game playing and learning framework to the research community as another open-source project. GBG takes the abstraction one level higher (than in the previous Connect-4 project) in that it provides a software framework with standardized interfaces for arbitrary games and arbitrary AI agents. GBG helps students and researchers to take a quicker start-off into the area of game learning. Read more about GBG in the publications below. Currently, the games implemented in GBG include 2048, Hex, Tic-Tac-Toe; more games are planned for the future. Current agents in GBG include MCTS, Max-N, Expectimax-N, TD-n-tuple and others. The long-term goal of our research group is it to transfer these learning strategies to many other games (dots-and-boxes, go, Poker, checkers, Abalone, Sim, Othello, ...). The project is related to the research field known as General Game Playing (GGP). The aim of GGP and GBG is it to develop agents which are able to learn a great variety of games. The article General Board Game Playing as Educational Tool for AI Competition and Learning (2018) provides a scientific overview on GBG, the technical report The GBG Class Interface Tutorial: General Board Game Playing and Learning (2017) gives an introduction to GBG more from the programmer's perspective. Research Center CIOP (Computational Intelligence, Optimization and Data Mining) TH Köln - University of Applied Science, 2018, (submitted to IEEE Trans. on Games, preprint available at http://www.gm.fh-koeln.de/ciopwebpub/Kone18a.d/ToG-GBG.pdf). 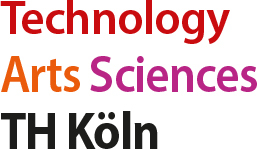 Research Center CIOP (Computational Intelligence, Optimization and Data Mining) TH Köln - University of Applied Science, 2017, (e-print published at http://www.gm.fh-koeln.de/ciopwebpub/Kone17a.d/TR-GBG.pdf). TH Köln -- University of Applied Sciences, 2017, (Bachelor thesis).